From the beginning of the last half of the 20th Century through the recent past, several national leaders have died at suspiciously-critical points in their careers, many by heart attacks which were presumed, but conveniently never subjected to autopsy confirmation. The ones occurring prior to January 20, 1969, the end of his presidency (even up to his death four years later) might have been added to the official “hit list” by the most likely culprit for such terminations, President Lyndon B. Johnson. Despite the fact that he had never been caught “red-handed” for any murders, there are numerous cases—still open and unresolved—of which he has been accused of being the sole, or primary instigator. Among the accusers, the late Texas Ranger (later U.S. Marshal) Clint Peoples, one of the most honored, respected and impeccably credentialed of Texas lawmen, had pursued a number of such leads (including JFK’s assassination) for decades, always impeded by Johnson’s gossamer web of political, law enforcement and judiciary connections throughout the state and nation. In 1984 (when Johnson had been dead for over a decade) Peoples convinced a Texas grand jury to change the cause of death of one of those victims, Henry Marshall—who in 1961 had been viciously beaten to death, forced to inhale a lethal dose of carbon monoxide and shot five times in his chest—from “suicide” to “homicide.” That Johnson was able to have that absurd “C.O.D.” stick, for twenty-three years, is the best illustration of his political power within Texas throughout his reign and for many years afterward. In lengthy 1975 memoranda (prompted by the news of the CIA’s previously-secret development of the “heart attack gun”) between Weisberg and a colleague that referenced numerous other suspicious deaths the U.N. ambassador’s name was added: “One of the best-known victims could have been Adlai Stevenson, who was about to meet with NLF [National Liberation Front] and North Vietnam leaders in Paris when he was stricken on a London sidewalk.” This exchange of correspondence was prompted by the then-recent release, by the CIA, of numerous secrets, including the stunning news of a special gun that would cause the victim to have a massive heart attack that would not be noticed during an autopsy (to be further reviewed, below). 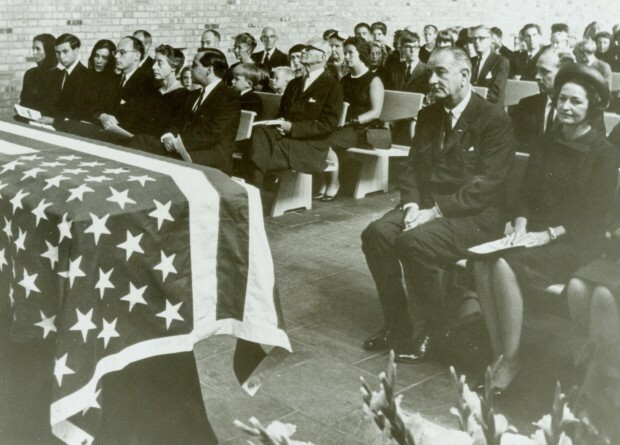 His death occurred at a time when Stevenson had become very upset with Lyndon Johnson’s Vietnam policies, and that would have caused Johnson to become very upset with him, as it was well known by all of his highest-level aides that the new president demanded absolute loyalty from all of them. Furthermore, it was also at a time when Johnson was planning to persuade Arthur Goldberg to leave the Supreme Court so that he could put his old friend Abe Fortas on it. Traces of President Johnson’s manipulative acts had become visible in the immediate aftermath of Stevenson’s death: According to the account of New York Senator Daniel P. Moynihan, what followed was one of Johnson’s most enigmatic, cunning and deceitful maneuvers—of the numerous others—one that the highly regarded senator termed “an inexplicable disservice” to Arthur J. Goldberg, to leave his position on the Supreme Court against his wishes. Johnson’s deceitful maneuvers were exposed by Senator Moynihan when he wrote a long “To the Editor” letter to the New York Times, which was printed on November 1, 1971. Moynihan stated: “Neither is this a service to the Court, nor yet to the confidence with which the public will read The Vantage Point” (the title of Johnson’s recently published 1971 memoirs). Johnson had attempted to plant the lie within his book that Arthur Goldberg actually wanted, and had requested LBJ’s blessings, to resign his position as Justice of the Supreme Court in order to take the much less-prestigious position of UN ambassador. This cannot be so. At about 4 o’clock on Saturday afternoon, July 17, 1965, I received a call from Justice Goldberg asking me to come to his home. I arrived and was told the President had asked him to take on Stevenson’s post. The Justice was in the turmoil one might expect. He had not the least desire to leave the Court. I am as certain of this as one man can be of another’s feeling. . . He cared for the Court as for few things. Only an urgent and pressing appeal from the President of the United States could weigh more heavily with him, and even then he was not certain. To learn now that the U.N. post was not mentioned until Tuesday [July 20], and then on Justice Goldberg’s initiative, is to gain further insight into what we have been through [obviously a reference to LBJ’s “credibility gap”]. On that very day, July 20, Mr. Johnson announced the appointment, stating, “At the insistence of the President of his country, he has accepted this call to duty.” (Emphasis added throughout). It was under Stevenson’s influence—with help by other journalist-friends, such as Walter Lippmann—that, in the previous year, Sevareid had begun devouring himself in studying Vietnam and its history, and had come to understand that the “conflict” was not the international communist conquest portrayed by the Johnson administration but merely a civil war which presented no threats to any other nation, especially that of the United States. 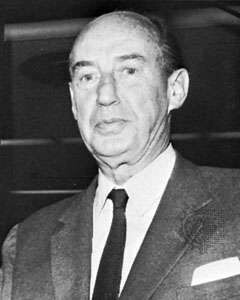 I loved Adlai Stevenson unreservedly, and for me there was a brutality about that week in mid-July when he died. On Monday, the twelfth, I had sat up with him until well past midnight, and he bared his heart in a rush of talk. What he said that night revealed a profound frustration, a certain resentment that stopped just short of bitterness. We had not talked so intimately for several years, and I went away with my feelings of sadness for him overlaid with a kind of selfish feeling of elation that our old affection had been revived and confirmed. (Emphasis added). Sevareid then described several incidents that weighed heavily on Stevenson, never previously publicly revealed, all of which reflected poorly on President Johnson’s domineering leadership style that stymied any attempt by the highest Cabinet officials to rebut even a single sentence in television addresses prior to their airing. He cited Hubert Humphrey, McGeorge Bundy and Dean Rusk particularly for being afraid to question even the smallest points, which he felt might lead to over-commitments and future conflicted positions. When he had urged Humphrey to react to one such issue, for example, “Hubert put his finger to his lips and shook his head.” These incidents, Sevareid said, gave him the impression that Stevenson was “deeply offended” that Johnson’s leadership style discouraged any dialogue by his own highest-level officials. The contrast in their respective fates—Goldberg’s wish to remain a Supreme Court Justice and Stevenson’s desire to retire—clashed with Johnson’s determined manipulation to be rid of Stevenson and to move his pawn Goldberg into the UN position. Eric Sevareid’s biographer Schroth had put his finger on the probable catalyst of Stevenson’s demise: One did not publicly embarrass Lyndon B. Johnson without running the risk of triggering his deadly retribution. Johnson’s bullying probably led to a communication impasse between him and Stevenson, so we will never know whether—had Adlai simply immediately resigned—he might have lived long enough to enjoy a longer life of retirement “drinking wine in the shade and watching people dance.” One thing is certain however: Stevenson’s death was considered “untimely” to almost everyone. The one exception to that paradigm was Stevenson’s chief nemesis: President Lyndon B. Johnson. Senators Frank Church (D-ID) and John Tower (R-TX) examining the “heart attack gun” which could shoot a frozen projectile filled with a deadly toxin that would induce a heart attack in the victim, leaving only a small red dot on their skin, and no other substance that could be detected at autopsy. Source: Youtube “The CIA’s Heart Attack Gun”. The “heart attack gun” shown in the photograph above—given that this particular weapon was obviously developed for that specific purpose at least five decades ago—demonstrates the certain reality of how that tool would have been put to use. Obviously, certain protocols would have been created to define who would qualify for nominating candidates for potential victims and the decision procedures—or simply conferring that authority to specific high-level officers—to control its use. Considering everything we know about Lyndon B. Johnson’s capacity for executing such orders during his reign of power, it is axiomatic that his name would be the first on that list. That weapon has probably now become the most primitive of the CIA’s inventory of such fatality-inducing tools, given the continually-expansive nature of that organization into every facet of American life, and death—not to mention every other country on the planet where its presence is felt. Stebenne, David L. (1996). Arthur J. Goldberg, New Deal Liberal. New York: Oxford University Press. p. 348.